When you see a play or musical you really love, your reaction may be that you never want to see another production of it, that that one was perfect and you don't want to impose any new production over your memories of the perfect one. Or you may want to see as many different productions of that show as possible. Follies? Arcadia? I'll go see either of them anywhere I can manage. Good, bad or indifferent, there is no production of those shows I will not try. Angels in America, Tony Kushner's two-part "gay fantasia on national themes" that sweeps together Mormons, Jews, Reagan Republicans and the AIDS crisis in the 1980s, falls into that category. I saw both parts -- Millennium Approaches and Perestroika -- on stage in New York and in Chicago in the early 90s. The Broadway and touring productions were very different, but each was deeply personal, deeply political, heartbreaking and fabulous in its own way. I also loved the small-but-mighty Angels directed by Steven M. Keen for Urbana's tiny Station Theater. And the all-star version version on HBO. Yes, I've struggled through several college productions that didn't send me and found myself unable to get to farther-flung Angels that were very warmly received. This month, we all have the chance to meet another Angels when Fathom Events and National Theatre Live bring the current London production from the National's Lyttelton Theatre, directed by Marianne Elliott, with Nathan Lane as Roy Cohn and Andrew Garfield as Prior Walter, to movie theater screens all over Great Britain and the United States. Part One: Millennium Approaches, airs this Thursday, July 20, with Part Two: Perestroika the following Thursday. You can find a theater near you at this link. There's nothing in Bloomington-Normal, but in the just-about-50-mile range, you can find the Willow Knolls 14 in Peoria or the Savoy 16 outside Champaign-Urbana. 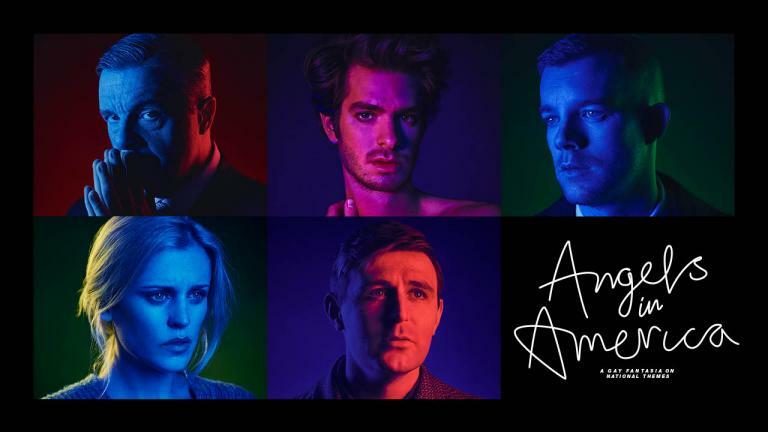 Both theaters are showing both parts of Angels in America at 7 pm on their respective Thursdays and you can purchase tickets now. 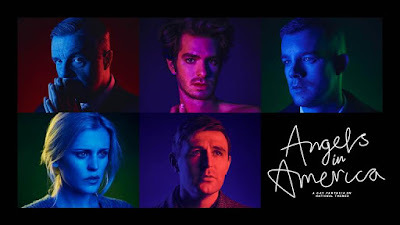 If you'd like to read more about Angels in America at the National or see videos, interviews and photos, check out this page at the National Theatre website.